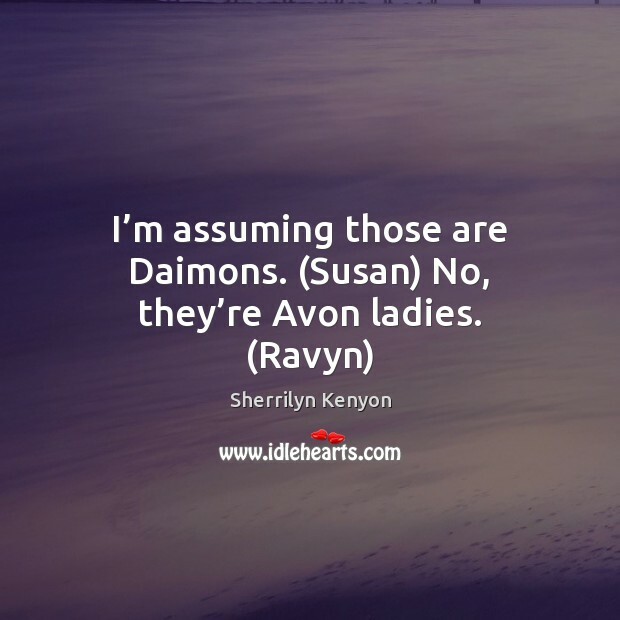 Quotations about Avon. Quotes to stimulate mind and drive action! Use the words and quote images to feed your brain inspiring things daily! 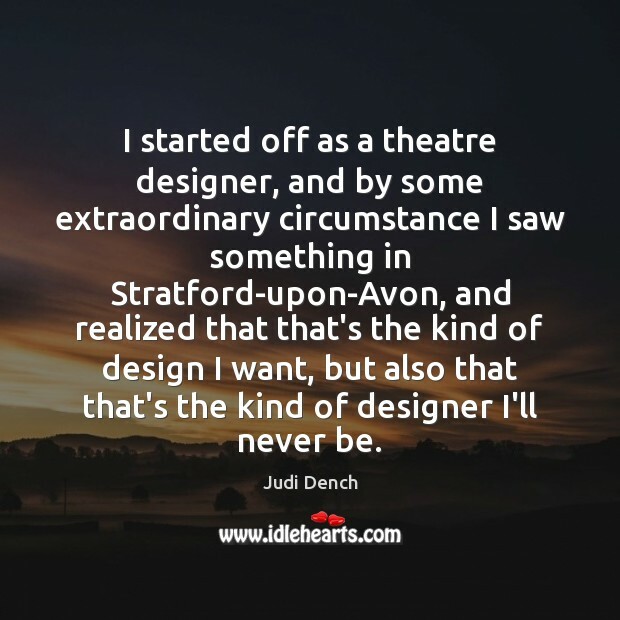 I started off as a theatre designer, and by some extraordinary circumstance I saw something in Stratford-upon-Avon, and realized that that's the kind of design I want, but also that that's the kind of designer I'll never be. 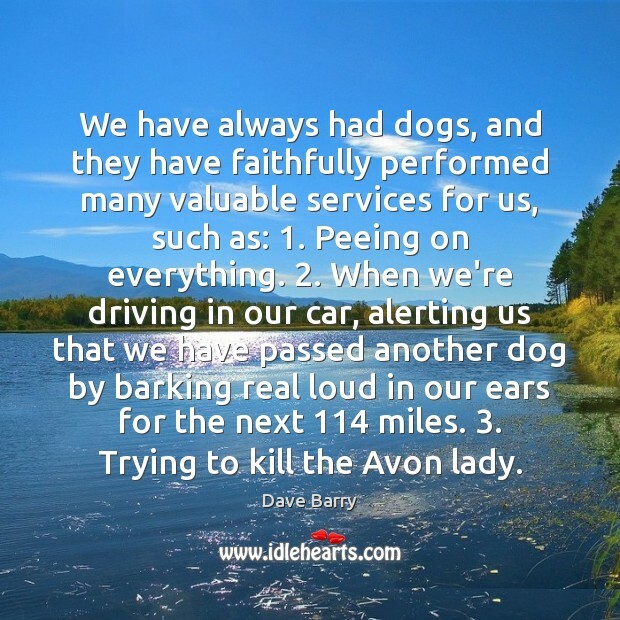 We have always had dogs, and they have faithfully performed many valuable services for us, such as: 1. Peeing on everything. 2. When we're driving in our car, alerting us that we have passed another dog by barking real loud in our ears for the next 114 miles. 3. Trying to kill the Avon lady. Puffy's the only guy who's jealous. 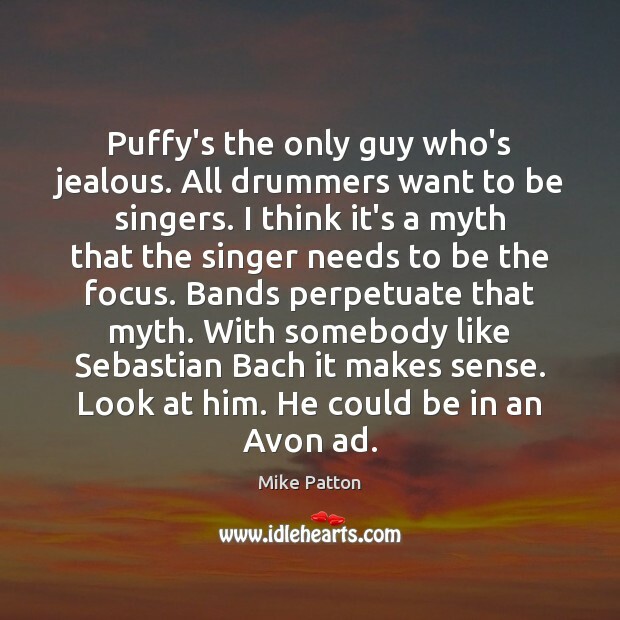 All drummers want to be singers. I think it's a myth that the singer needs to be the focus. Bands perpetuate that myth. With somebody like Sebastian Bach it makes sense. Look at him. He could be in an Avon ad. 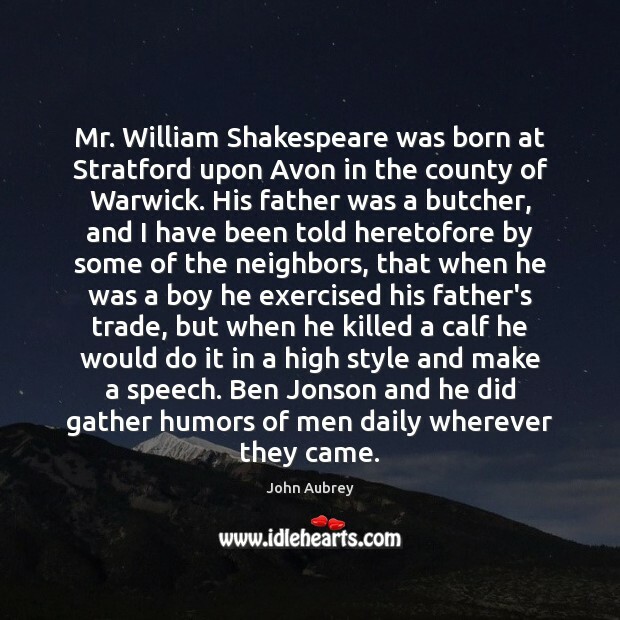 Mr. William Shakespeare was born at Stratford upon Avon in the county of Warwick. His father was a butcher, and I have been told heretofore by some of the neighbors, that when he was a boy he exercised his father's trade, but when he killed a calf he would do it in a high style and make a speech. Ben Jonson and he did gather humors of men daily wherever they came. 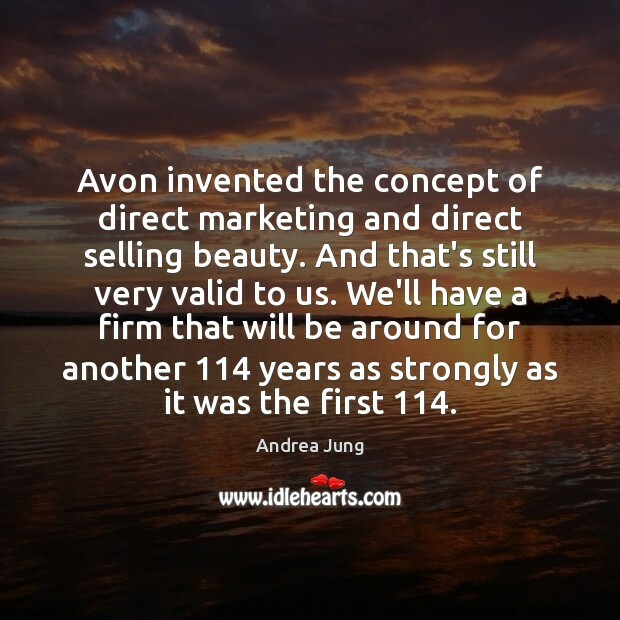 Avon invented the concept of direct marketing and direct selling beauty. And that's still very valid to us. We'll have a firm that will be around for another 114 years as strongly as it was the first 114. 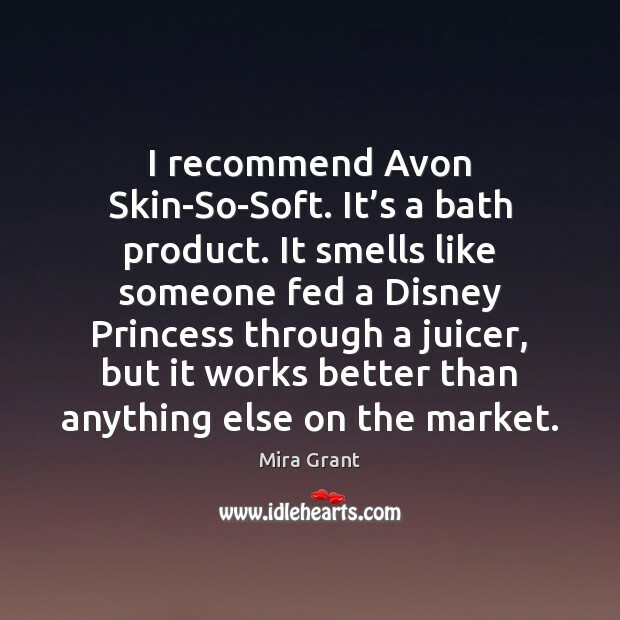 I recommend Avon Skin-So-Soft. It’s a bath product. It smells like someone fed a Disney Princess through a juicer, but it works better than anything else on the market. Few footprints of the great remain in the sand before the ever-flowing tide. Long ago it washed out Homer's. Curiosity follows him in vain; Greece and Asia perplex us with a rival Stratford-upon-Avon. 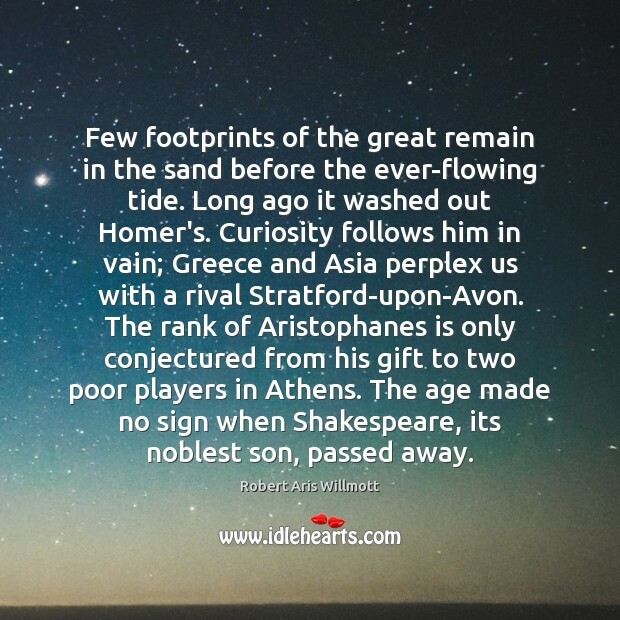 The rank of Aristophanes is only conjectured from his gift to two poor players in Athens. The age made no sign when Shakespeare, its noblest son, passed away. 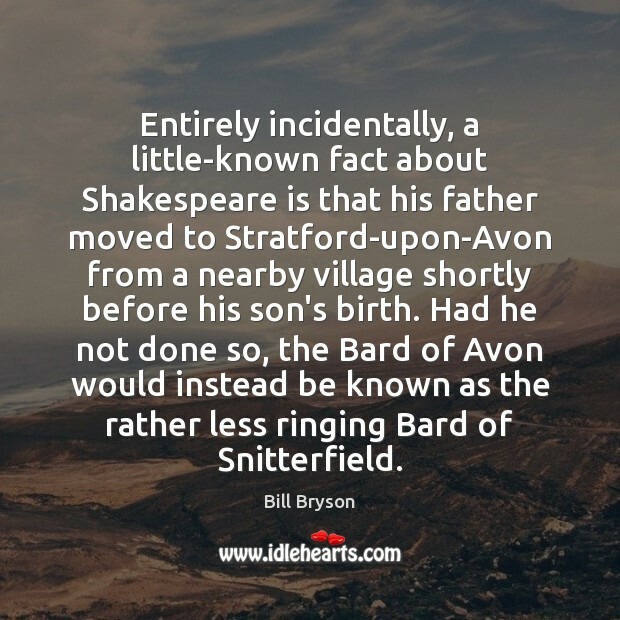 Entirely incidentally, a little-known fact about Shakespeare is that his father moved to Stratford-upon-Avon from a nearby village shortly before his son's birth. Had he not done so, the Bard of Avon would instead be known as the rather less ringing Bard of Snitterfield. 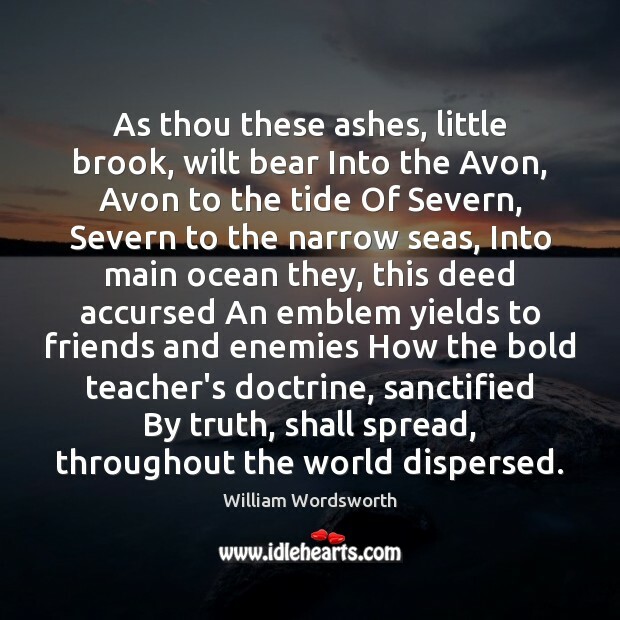 As thou these ashes, little brook, wilt bear Into the Avon, Avon to the tide Of Severn, Severn to the narrow seas, Into main ocean they, this deed accursed An emblem yields to friends and enemies How the bold teacher's doctrine, sanctified By truth, shall spread, throughout the world dispersed. The company was actually founded on creating earnings opportunities for women, even before it went into skincare, lipstick, and fragrance. The founding Avon principle, before women could vote and when basically only men were working, was to allow women to get out of their homes and to create an entrepreneurship opportunity for them. 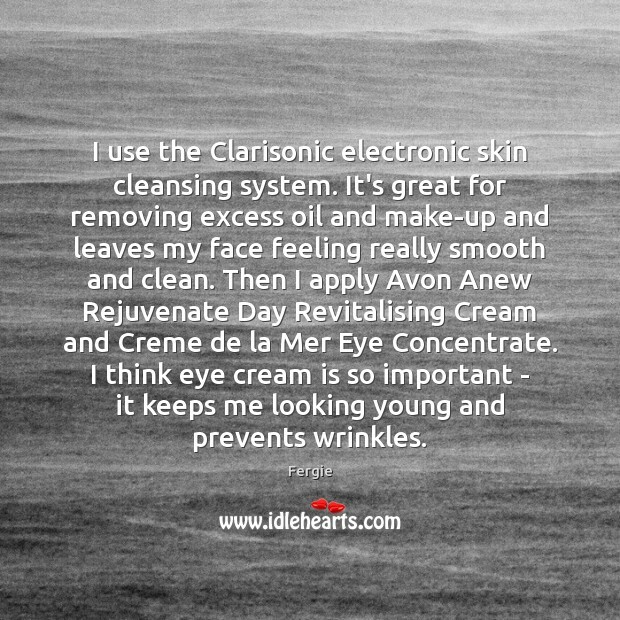 I use the Clarisonic electronic skin cleansing system. It's great for removing excess oil and make-up and leaves my face feeling really smooth and clean. Then I apply Avon Anew Rejuvenate Day Revitalising Cream and Creme de la Mer Eye Concentrate. I think eye cream is so important - it keeps me looking young and prevents wrinkles. China is going to be one of Avon's largest market opportunities. It has a large geographic expanse, with hundreds of thousands of women in small villages really striving to make an earnings opportunity for themselves. I was approached by Avon which took me by surprise, cause I thought "why me?" 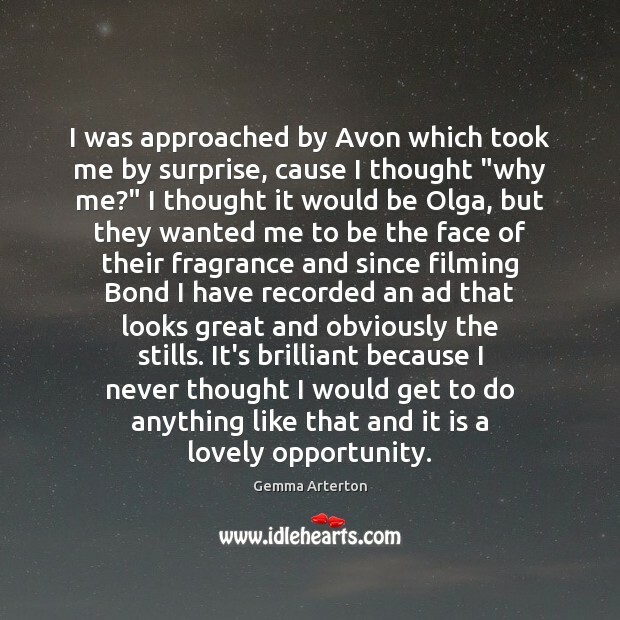 I thought it would be Olga, but they wanted me to be the face of their fragrance and since filming Bond I have recorded an ad that looks great and obviously the stills. It's brilliant because I never thought I would get to do anything like that and it is a lovely opportunity. I finally found the product that helps mend my damaged hair and prevent breakage. 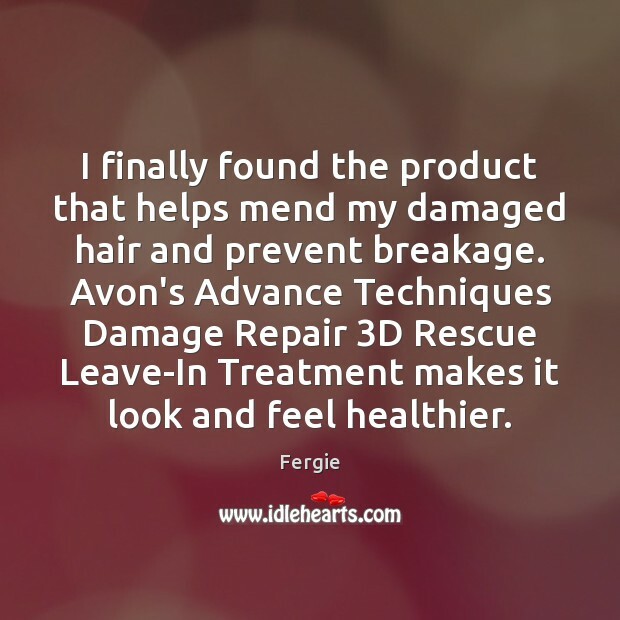 Avon's Advance Techniques Damage Repair 3D Rescue Leave-In Treatment makes it look and feel healthier. 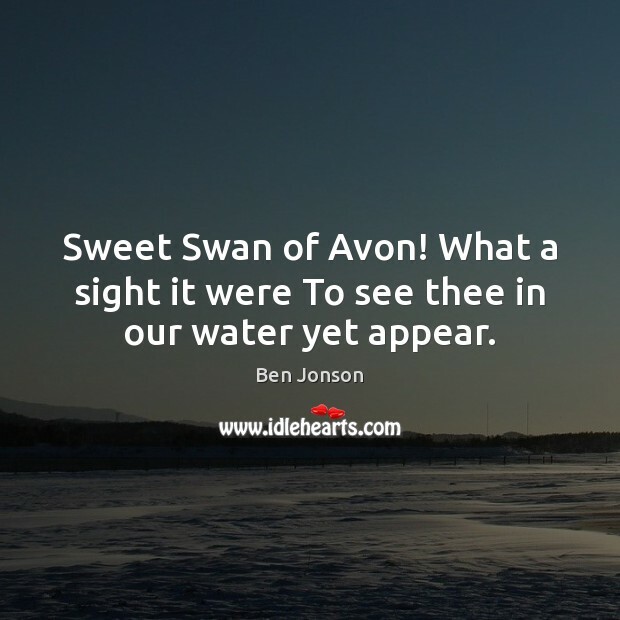 Sweet Swan of Avon! What a sight it were To see thee in our water yet appear. My mom used to sell Avon when my mom was a kid for about three years, and so it was like the first make up I saw. 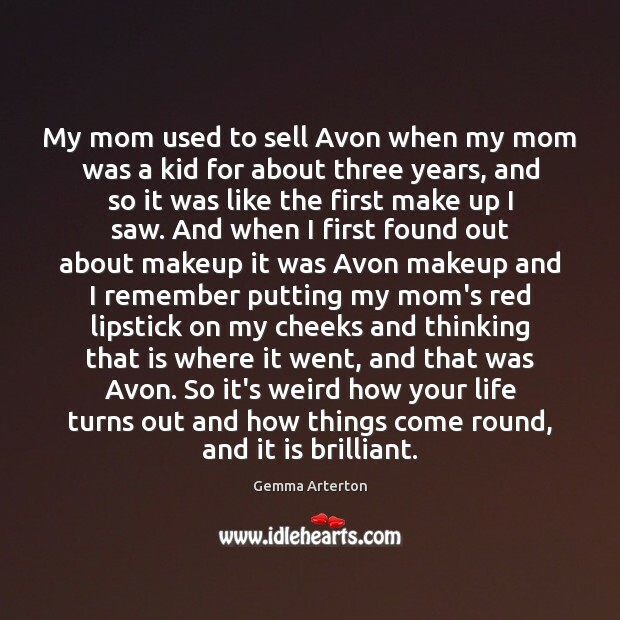 And when I first found out about makeup it was Avon makeup and I remember putting my mom's red lipstick on my cheeks and thinking that is where it went, and that was Avon. So it's weird how your life turns out and how things come round, and it is brilliant.